The Benedetta 4 Light Pendant is characterized by the shade’s sharp intersections and gracious curves that deliver a powerful style. The bright and shining silver is complemented, amplified and softened by the dangling full cut crystals below. This is not your average chandelier! It’s a new highbrow interpretation on the old classic, and it fits ideally into a room with contemporary design, or an old room that needs a swift, bright makeover. The Benedetta is circular and the perfect size to illuminate your game table or poker table. Game rooms can be filled with the most wonderful pool tables and bars, but when they’re paired with a dingy old light, the whole room is weighed down. 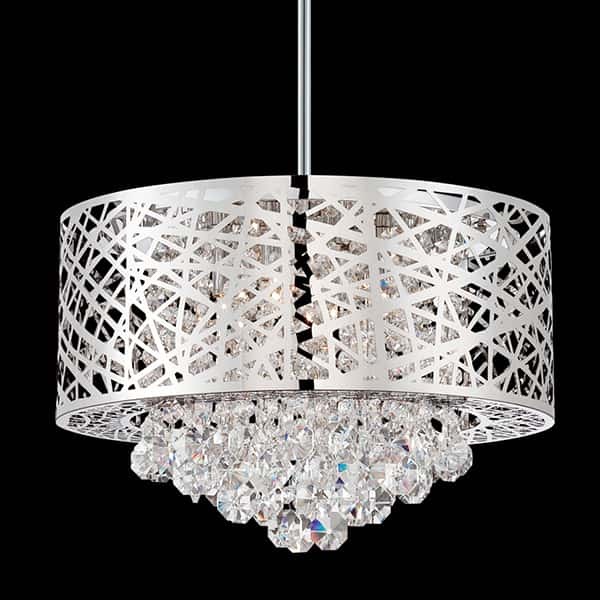 The Benedetta light fixture gives a facelift to boring or outdated game rooms, quickly and easily. 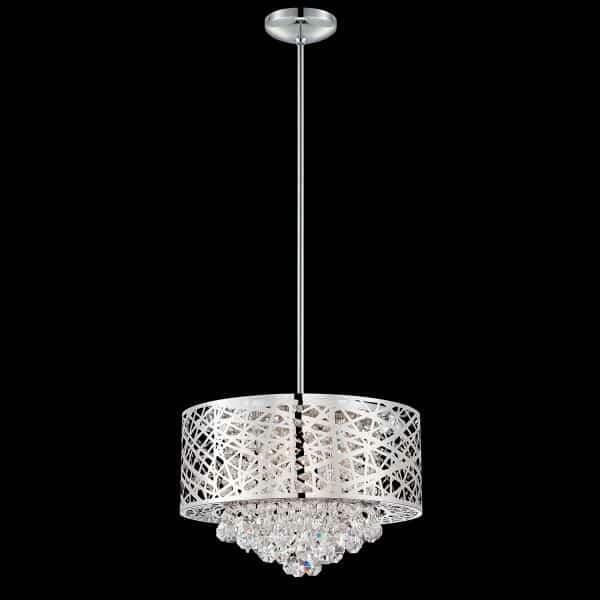 Light seeps through sides and the bottom of the light, making it a candidate for workspace pendant lighting to be placed over poker tables. Gain vision and awareness with the proper game room or dining table lighting!